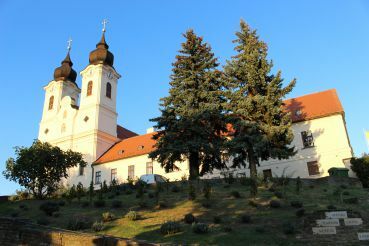 The Abbey is located in the quiet village of Hungarian Pannonhalma. It was founded by the Benedictine monks of about ten centuries ago. During its long history, the monastery has been repeatedly destroyed and rebuilt. Today, it is a unique blend of Romanesque, Gothic and Turkish architectural styles. On the territory of the abbey is an old library, which contains more than three hundred thousand of rare exhibits: ancient books, historical archival value, the earliest Hungarian letters, old paintings, painted by famous Dutch, Austrian and Italian masters. Above the main entrance to the monastery preserved fresco depicting him the patron saint Martin of Tours. Since the current monastery, get on its territory can only be part of tour groups. The Abbey is located twenty kilometers from the city of Gyor, from where buses go Pannonhalma.